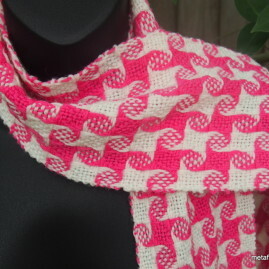 A bright, bold piece, with a variegated pink/orange yarn standing out against the cream. 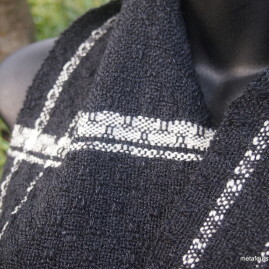 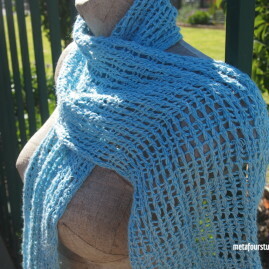 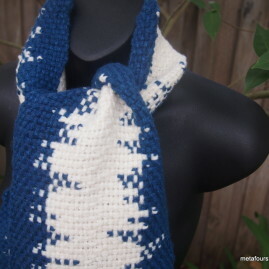 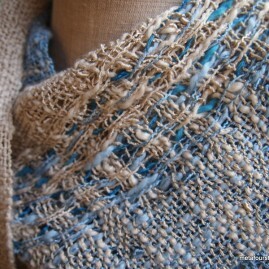 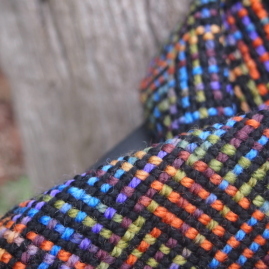 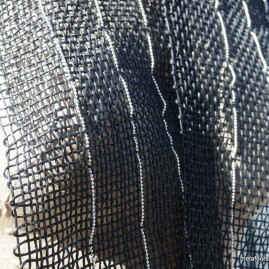 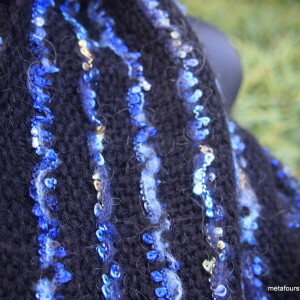 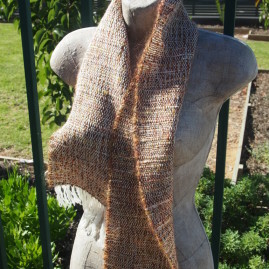 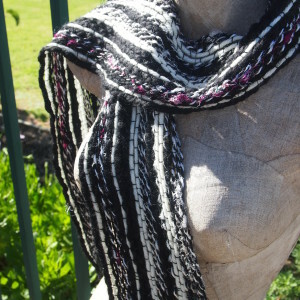 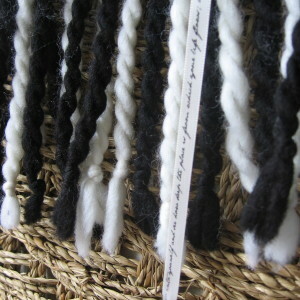 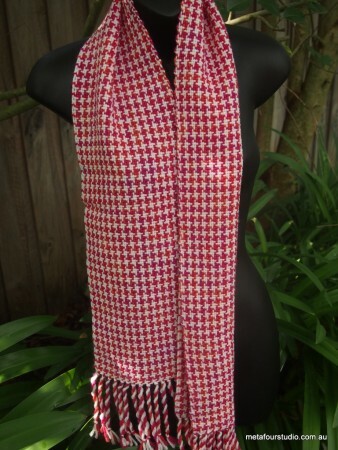 Handwoven in 100% wool, this is a medium weight scarf that is warm and bright. 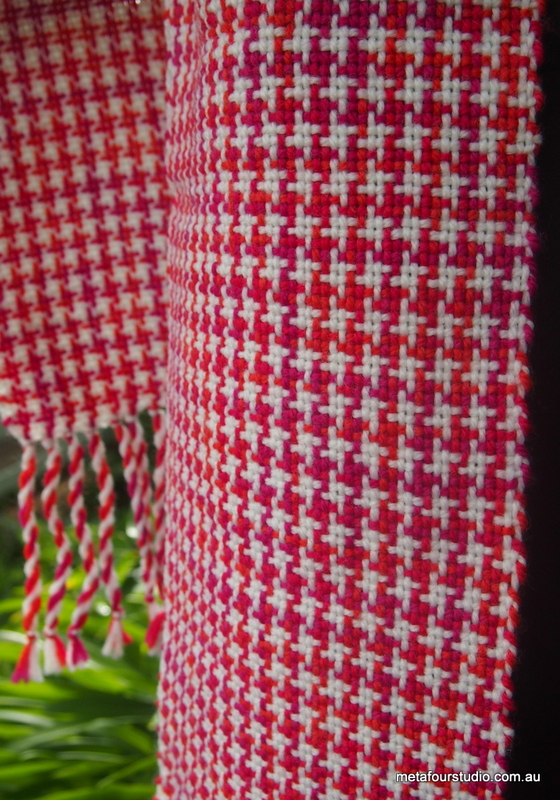 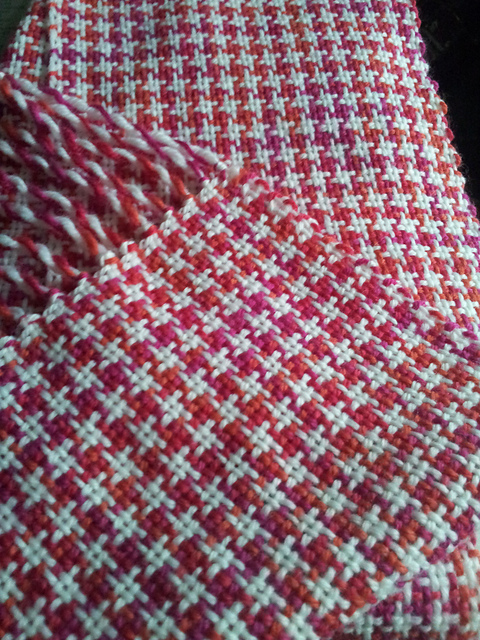 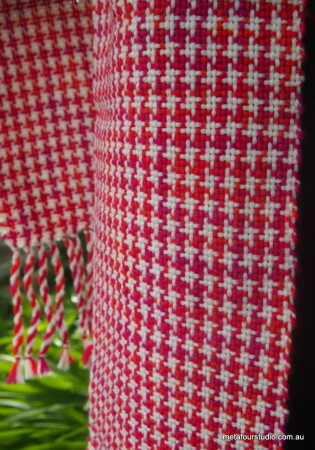 Detail: Handwoven scarf in pink/orange and cream houndstooth inspired pattern.